UK, 24th July, 2015: Be it a casual outing or a special occasion, there is s requirement for a certain http://www.mirriammusondasalati.net, customers can peruse the products designed by Mirriam Musonda-salati, also known as Be Gorgeous Styles. Apart from clothes for men, women and children, there are other products such as towels, bed linen, phone cases, etc, which are available at the site. It is a complete entity where people will find different sizes and styles of clothes at discounted rates. Being a model herself, Mirriam has vast experience in clothing and fashion. She is well versed with what is in vogue and comes up with designs that suit every body type. Apart from her connection with the fashion world, she is also the CEO of a charitable organization and works hard for the same. With over a decade’s experience in footwear, clothing and related accessories, customers can consider the site for all such needs. When it comes to footwear, there are a myriad of choices in boots, shoes, high heels, flats, wedges, slippers, etc. If there are any queries with regards to the size, the same can be directed to the customer service team by filling an online form. The website says, “There is a need for everyone to look their best at all times. However, not all of us http://www.mirriammusondasalati.net/ has come up with affordable fashion solutions for all. Be it footwear, jewelry, health and beauty products, the website cater to a large number of customers. Maxi dresses for a casual dinner or sport wear; there is no dearth of clothing products to choose from. 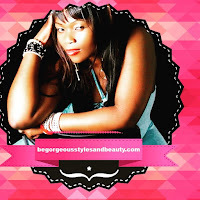 To obtain more information about the products, visit http://www.begorgeousstylesandbeauty.com/. The website claims that they offer a 20% discount for their new customers on all products. Apart from this, there is free delivery for orders on £70.00 and above. Another unique feature is that customers can avail an extra 20% off on their second offer should they recommend a friend. There are many varieties in menswear and children’s sweaters as well.